It's been quite a long time since I last posted here. Infact, I had almost abandoned my beloved blog for all this time. The blog that I have nurtured all these years. But no more. A lot has happened over this period of four months, and I've been quite busy, and could give quite less time to my garden, but never abandoned my plants. All this time while I couldn't take a look at my plants and my garden, my mother was always there to see through my responsibility and take care of these beautiful creations, to ensure that whenever I am back to them, I shouldn't feel bad of the neglect I've done. Again, a lot hasn’t happened here, essentially, because I am the one who brings in changes. I am the one who gets new plants. I am the one who introduces new experiments. I am the one who gets scolded for bringing in new plants, especially when my already full rooftop can’t afford any more pots. 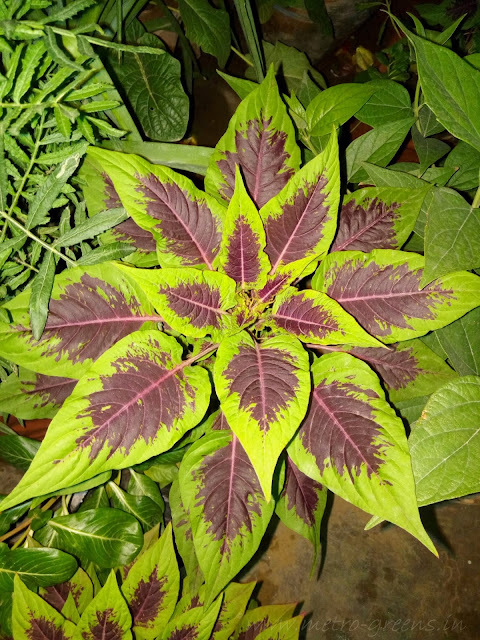 And I am the one who posts here, pictures of beautiful plants and flowers, which I grow on my rooftop. And when I am not there, or couldn’t give my time to one of my most favourite hobbies, everything stands still. But, no more. I am back, and I’m back with a bang. Though new things haven’t happened, it was never that nothing happened at all. A lot of changes happened, and happened for good, till now. I transplanted my mango plant, right before I became dormant. And, just in case you were wondering, it’s doing great. It’s growing at a fast pace, so fast that I might need to transplant it into an even bigger container, by, maybe, next year, and after that, right into the ground. The Harshringar Plant growing pretty well. What else? The Harshringar (Nyctanthes arbor-tristis) stems I planted last year in around February or March, finally have started showing signs of growth. So much so that one of the multiple stems I’ve tried planting over the years seems to demand a bigger container very soon, and who knows I might get to see the extremely beautiful and fascinatingly pleasant fragrance these have. Also, something new has happened this time around. We’ve got cockscomb seeds, and the plants that have grown out of these seeds look amazingly beautiful and all I am awaiting now is the blooms they’re about to show me, very soon. The beautiful leaves of the cockscomb plant. I’ll be back with more updates in the coming week. 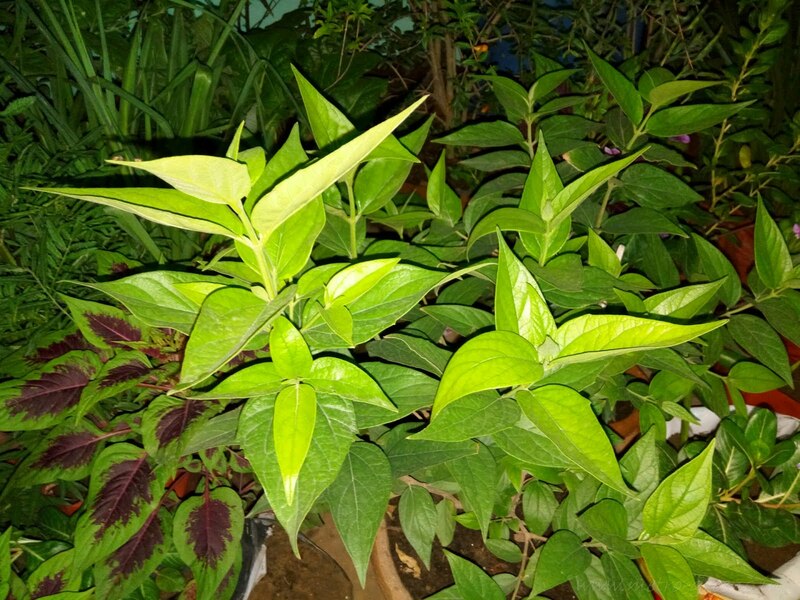 Especially with a lot of my plants blooming, including the orange lily, the Juhi plant, which waits the whole year, for this time to bloom profusely, and the Jasmine plants as well, and oh, how can I forget, the rajnigandha (tuberose) plant (double variety) I introduced last year only in my garden.